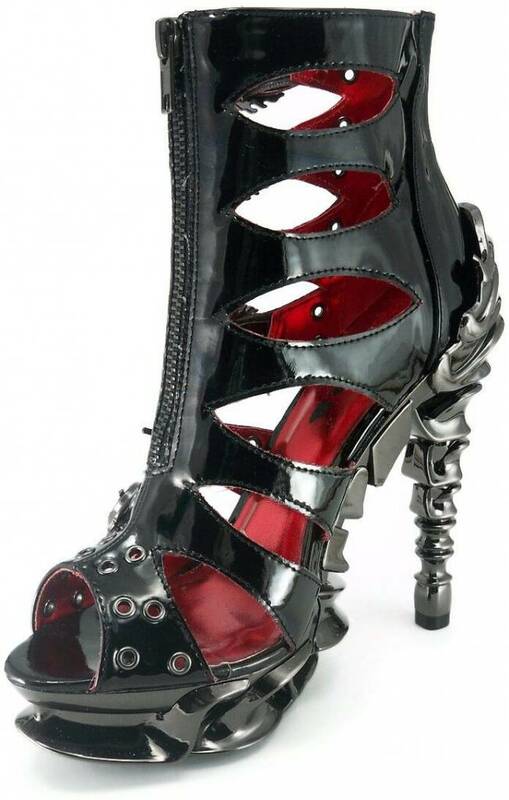 Crimson has it all: Chrome plated multi-piece spinal heel. 6 adjustable flame buckles w/ front zipper & multiple eyelets. 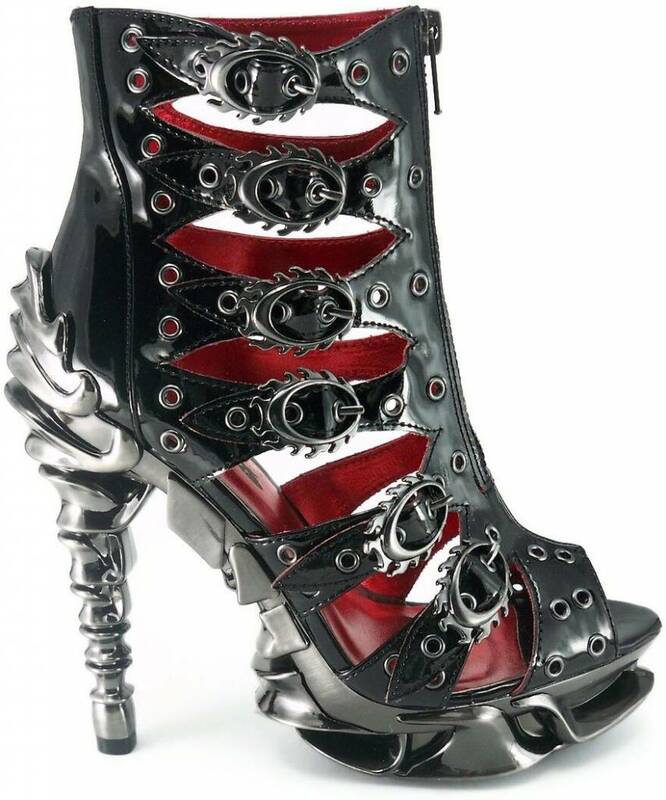 Hits at above-the-ankle, the heel height is 5", & has a 1" under foot platform sole. Designer red foil insole & lining. Open toe sandal/shoe/boot. That means you'll wear it with everything. All vegan materials, even the glue!